Water contains minerals like calcium and magnesium. When these minerals get to high levels, water becomes hard. Hard water is not good to consume or to use domestically. To make hard water safe to consume and use for cleaning, washing and bathing, these minerals need to be removed. Water softeners are energy efficient devices that provide soft water that is healthy for you. At what Hardness is a Water Softener Needed? The United States Geological Survey states that 85% of the U.S. geography has hard water. It does vary from one region to another and is based on several factors, like the proximity to the sea, industrial dumping, etc. There are kits you can purchase that will tell you how hard your water is. Hard water is not good for your skin, hair, clothes, utensils and even your floor. The damage will become worse depending on just how hard your water is. Normally, there are 10 grains of hardness present in 1 gallon of water. Drinking water should have no more than 6 grains per gallon, while the water you use to clean, bath and wash, no more than 8. 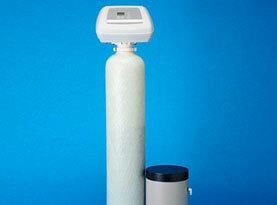 Water softeners work by exchanging the hard chemicals with soft chemicals. Sodium bicarbonate is the residue chemical that is left after the water softening process. It is not the same as Sodium chloride and does not taste salty. 1. Reduction in scale or lime scale. Scale or lime scale is a hard, chalky layer of Calcium and Magnesium bicarbonate that forms as the result of hard water. It can be left behind on utensils, bathroom and kitchen sinks and faucets. Water softeners work to prevent this from happening. 2. Longer lasting appliances. Just like hard water can impact your health it can impact your appliances too. Layers of calcium and magnesium that accumulate inside water appliances will reduce their lifespan drastically. Water softeners prevent this accumulation. 3. Unclogged plumbing. Hard water is a major contributor to clogged pipelines. 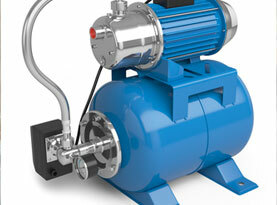 This can reduce the flow rate of water because hard water attracts mineral deposits that can clog your pipes. Water softeners prevent this from happening. 4. Better laundry. Hard water is not good for your clothes. Hard water can stain your clothing and makes it harder to create lather. This means clothes don’t get as clean and you’ll use more when you don’t have to. Water softeners will clean your clothes better and save you some money. 5. Better skin care. Bathing and cleaning yourself with hard water effects your skin and can also cause itching and irritation. Soft water will help your skin retain moisture. 6. Better tasting water. Hard water has a salty, sour taste and smells a bit. The ion exchange process replaces the salts in hard water with tasteless and odorless salts of Sodium, making water taste and smell better. 7. Better health. The excessive intake of calcium and magnesium can cause stone buildup in the body. Calcium can cause bone joints to overgrow and can lead to irritation of the throat lining. 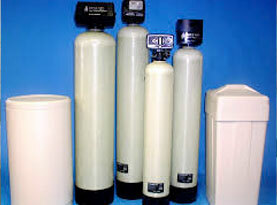 If you want to get the best water softener for your home, it’s important to know what your water is like. 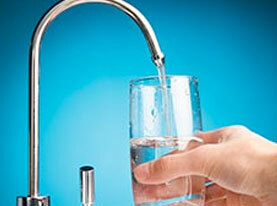 Contact AAA Water Team to test your water and discuss your options. Give us a call today! How Much Water Should a Cancer Patient Drink to Stay Hydrated in Plantation Island, FL?